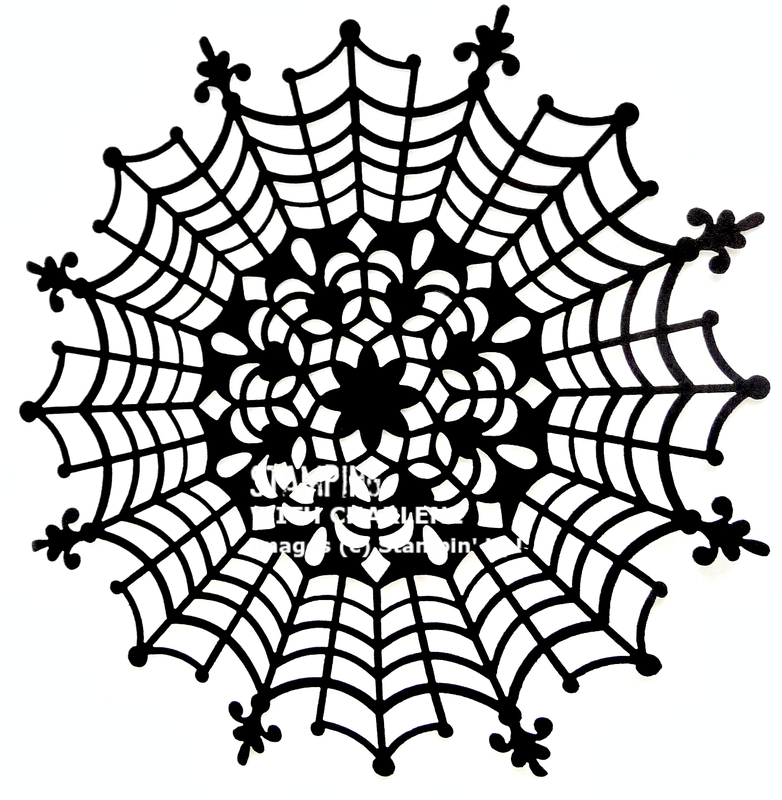 Home » 2015 Holiday Catalog » Spider Web Doilies from Stampin’ Up! As you can see from the project I created, each doily can be cut apart and used in different ways. I used the center of the doily to decorate the outside of the mini candy gift bag. 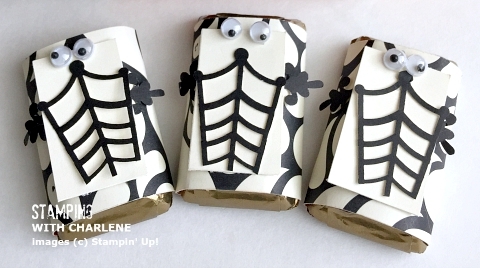 I used one of the webs to create a little skeleton body, and the fleur de lis as the skeleton arms. The googly eyes make the little bodies come to life. 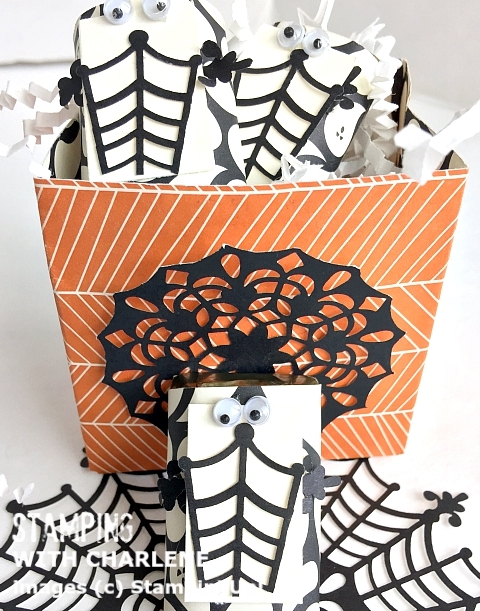 ← Make Your Own Envelopes!